Please send me more about building security. 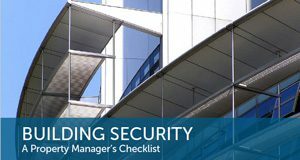 A quality access control system can help commercial property owners and property management companies restrict authorizations on building and suite entry doors. Access control systems, whether proximity fob, card swipe, or code entry can establish who is authorized to enter a door and what time they may enter. A good system can be established to operate many doors at one location or even a simple stand-alone door. 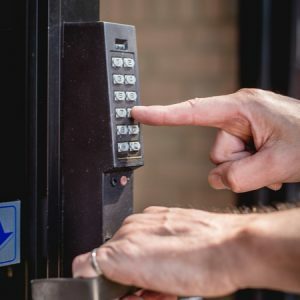 Access control locks can even determine who gained entry at a specific time, or date, allowing management to run audit trails going back as many as 40,000 entries. We can supply, maintain, program, and repair even the most complex access control system. From simple mechanical single door systems, to elaborate, multi door, time zoned systems, we can help you with all your security needs. Learn more about keyless entry and how it will benefit your building by scheduling a free security inspection.